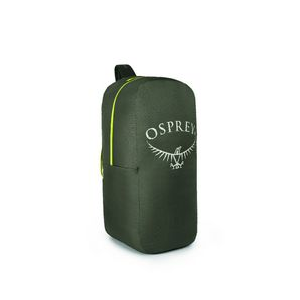 Protective cover for medium size rucksacks when travelling by air. 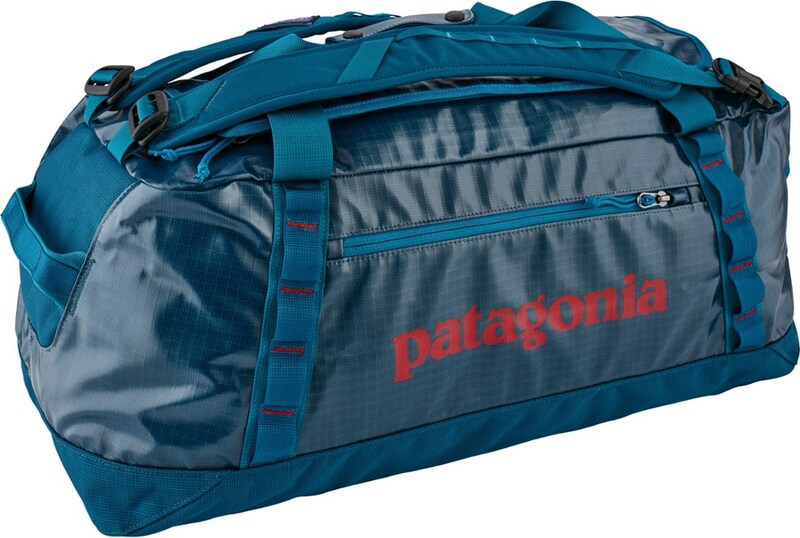 Packs down to a compact size. 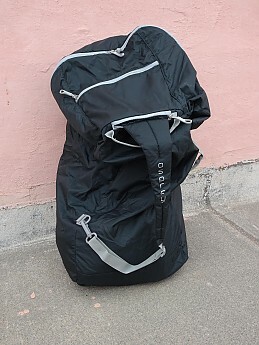 Hiking rucksacks tend to have plenty of dangling straps that can get caught in airport luggage conveyor belts, risking damage if they are checked in as hold luggage. 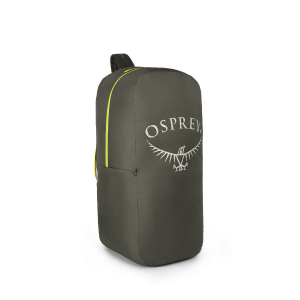 The Osprey Airporter is a protective cover that completely encases your rucksack, eliminating this problem. 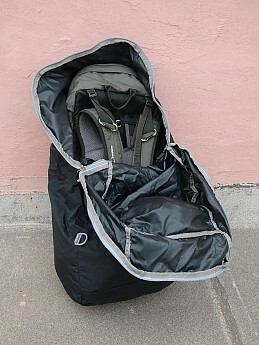 The Airporter packs into its own pocket, so you can keep it in your rucksack till it's time for your flight back home. The Airporter comes in different sizes. 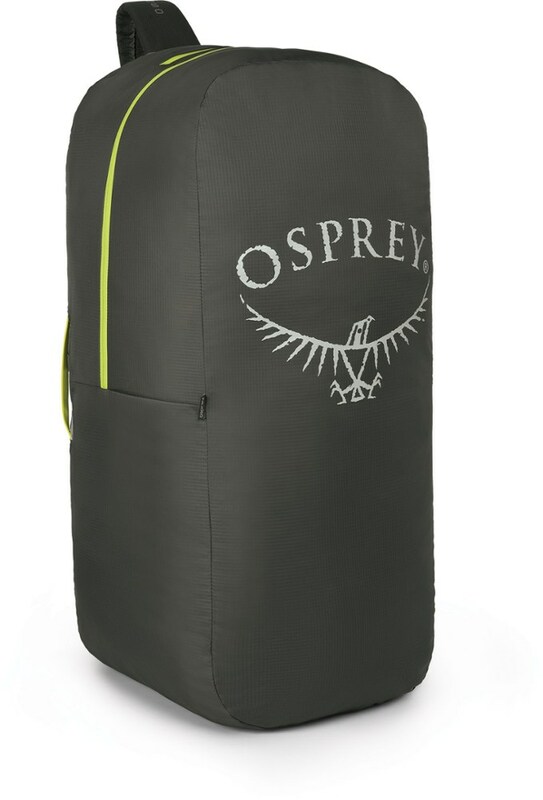 The small is rated for rucksacks of up to 50 litres in volume. 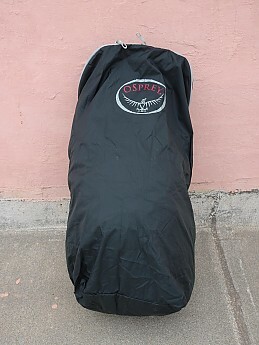 I have used mine with a 40-litre pack which it swallows with room to spare, as shown in the photo above. The Airporter has two carry handles, one on the side and one on the top. Under the side carry handle there is a little plastic window in which you can insert a card with your contact details. A small zipped compartment contains a strap that can be brought out and clipped to a D-ring on the side, as shown below, enabling the Airporter to be carried from the shoulder. 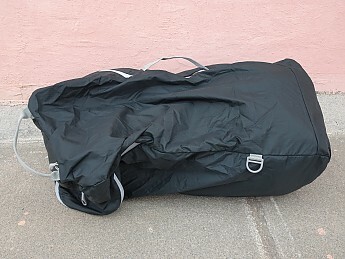 The main compartment of the Airporter closes with two zippers. 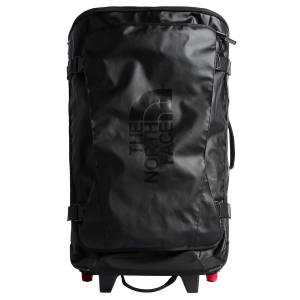 The zippers have metal eyelets so they can be padlocked together, offering a degree of security in transit. "Security" is a relative term, of course: the Airporter is durable, but it would not offer much resistance to a thief with a blade. Then again, neither would your average rucksack. When folded away, the Airporter makes a fairly compact package. 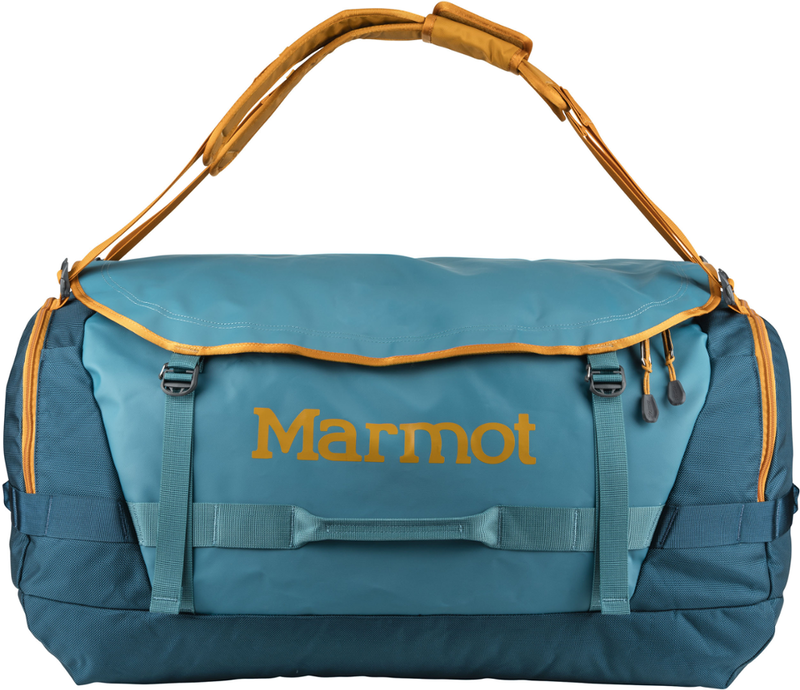 The small version packs down to around seven by eight inches, so it should not be too difficult to find space for it in your backpack. The only downside to the Airporter is its weight. The small version weighs 352g (12.4oz), a significant amount for an item you will only be needing at the start and end of your hiking expedition. However, the hotel where you will be staying on your last night might be willing to keep the Airporter for you, if you can get it delivered to them. This would save you the need to carry it in your rucksack while hiking. Looks useful, Charles. Thanks for the info and review. Nice review. 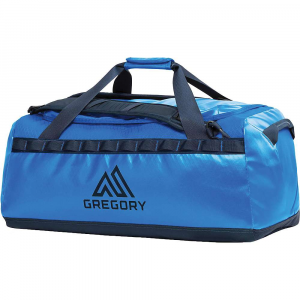 I've considered these or similar bags for a long time but never bought one. 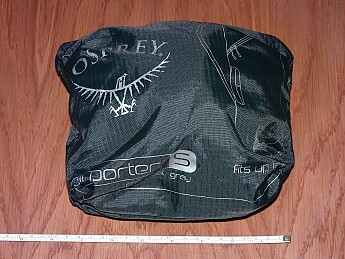 The Osprey Airporter Small is not available from the stores we monitor. It was last seen March 27, 2019	at Bentgate.com.